Which type of artwork should you use? It depends on your desired result. 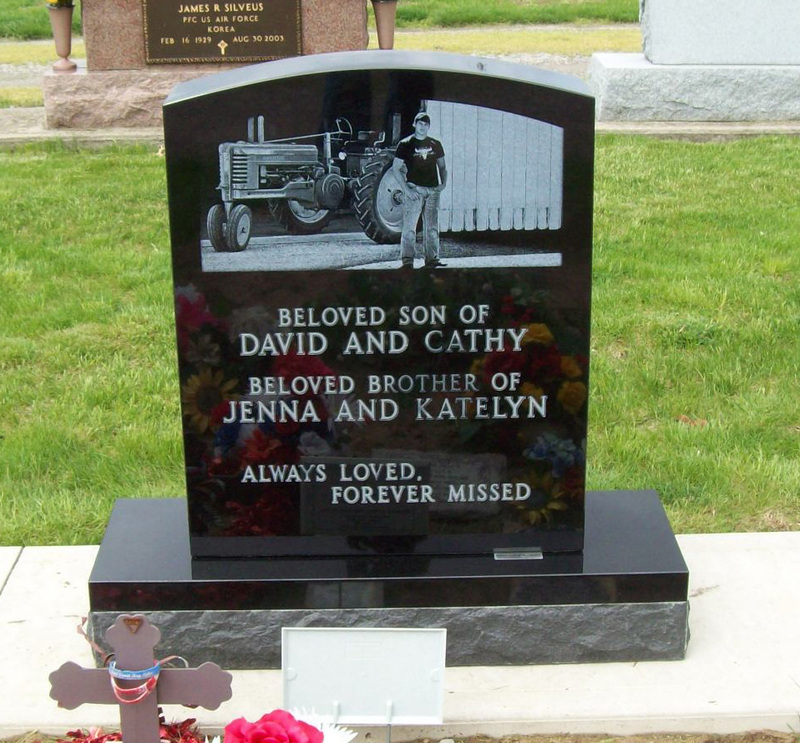 Here at Delphos Granite Works, we use four types of quality artwork to create your monument: Deep Cut, Laser Etching, Diamond Etching, and Masks. This method is the most commonly used. 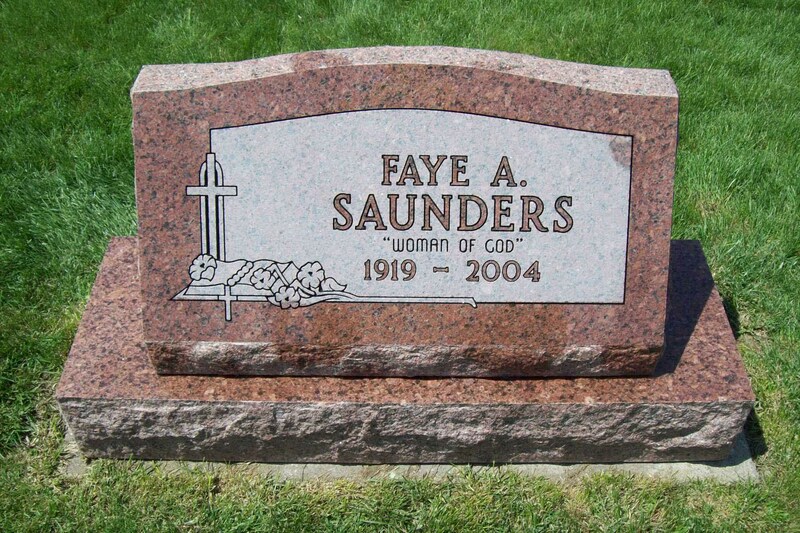 It can be applied to any color of granite. We cut the desired design into a thick stencil material which is applied to the granite. 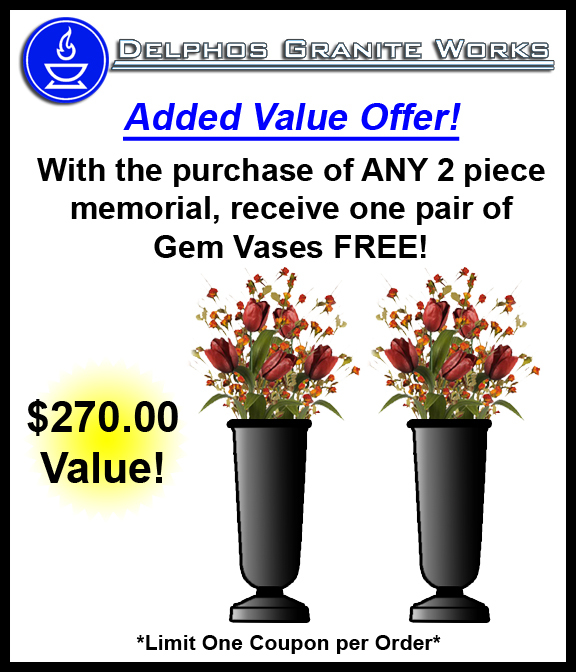 Then, the monument is sandblasted to specifications to achieve the desired results. 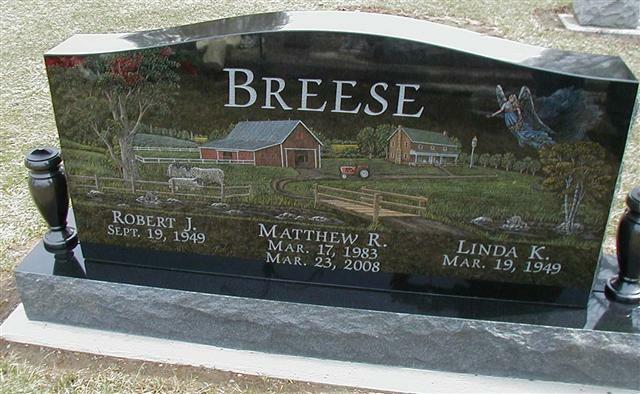 After a piece of Black granite has been carved and lettered, a customer may want to personalize his/her monument by having either a piece of artwork or a photograph etched onto the monument. This process uses a large laser machine to literally burn the image into the granite. Very fine detail can be achieved using this method. However, the original artwork or photograph must be of very good quality. Of all of our methods, diamond etching is the only one that color can be applied to. A diamond etching is created by one of our skilled monument artists on Black granite using a hand-held engraver to actually draw the artwork directly onto the monument. The result is a finely detailed, beautifully rendered etching.